The Primo contemporary folding dining tables are designed for school dining rooms and bring a sleek look to education establishments. 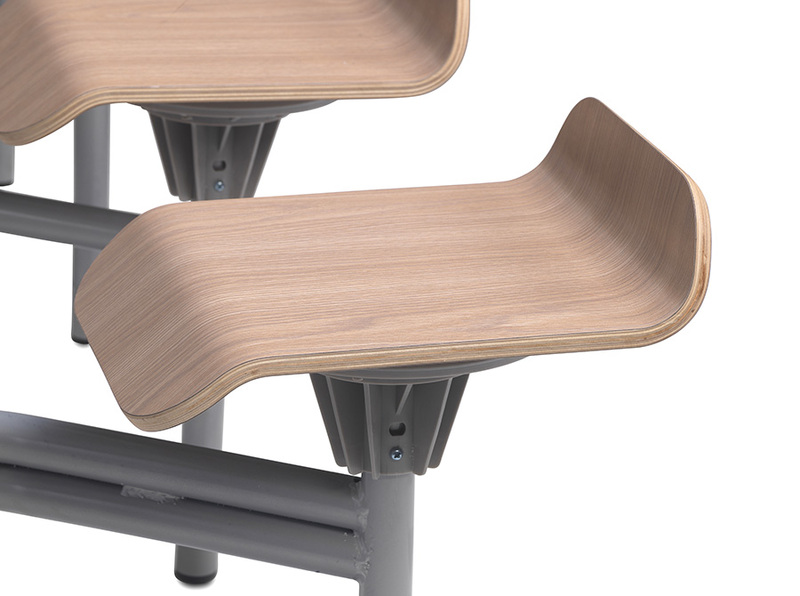 Primo school dining tables come with the choice of 12 seats or 12 stools, both in an oak finish. Manufactured with a 50mm thick MDF laminated table top which is available in 3 finishes – white gloss, black gloss or modern oak, each finished with a grey frame. The laminated table tops are water resistant and easy-clean for improved hygiene. 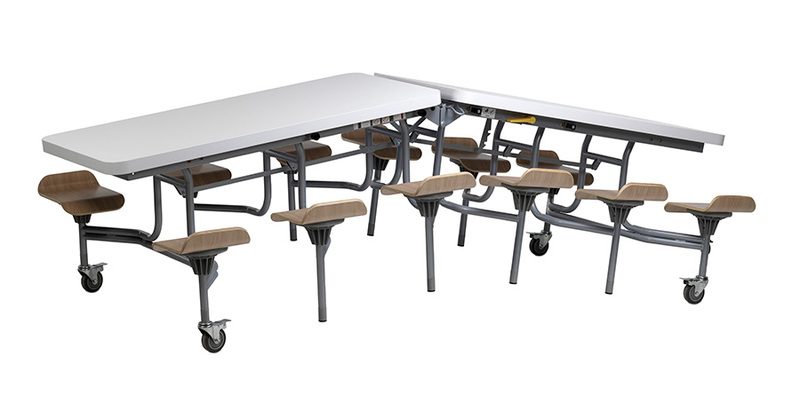 These school dining tables can be folded into a semi-closed or closed position with a secure locking facility, making them safe and easy to transport and store away. 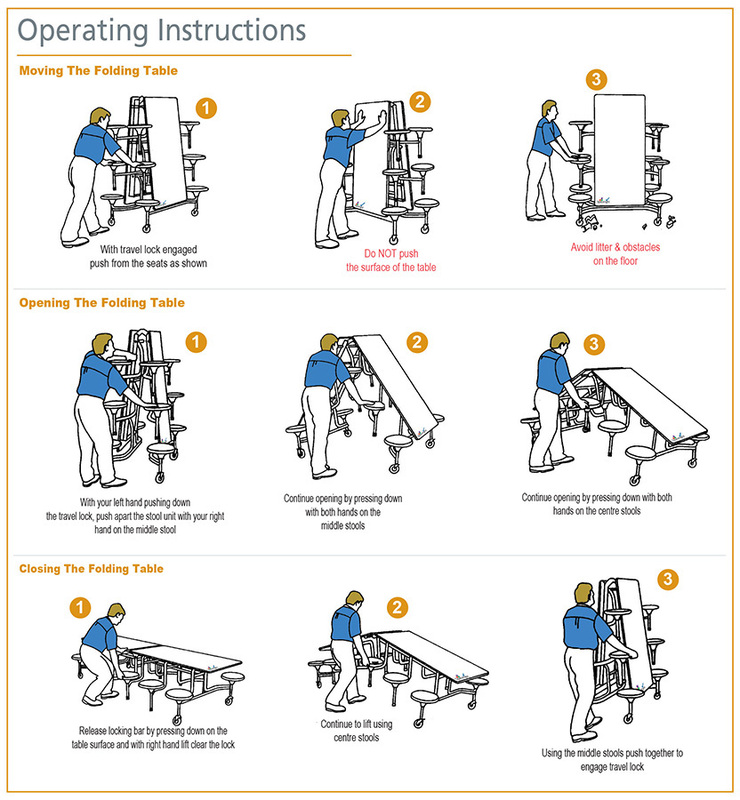 The cleaning position allows you to lock the tables so you have easy access for sweeping the floor. Complete with 4 easy-glide castor wheels which enable quick and easy transportation. 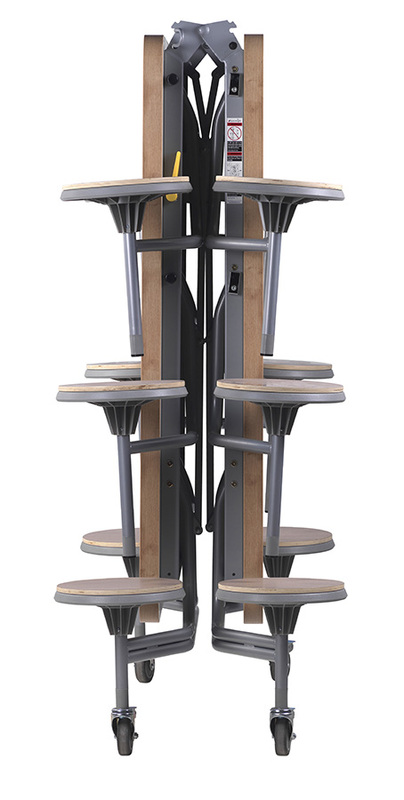 Also ideal for the conversion of multi-functional school halls which double up as dining areas. Primo contemporary school dining tables can fit through a standard height doorway (1980mm) so there is no hassle of tilting tables to move between storage and dining areas. 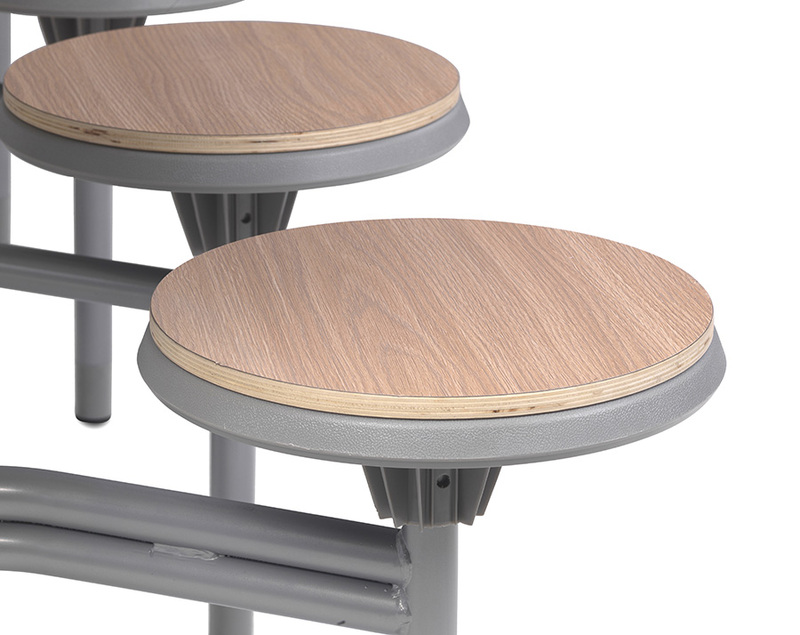 This range of mobile school dining tables are fully certified by FIRA and so are considered to be structurally suitable and sufficiently stable for educational use. Take advantage of our FREE 3D space planning service. This creates bespoke solutions and space plans for canteens, cafeterias and school dining rooms. We also offer a FREE site survey service which assesses your needs to create the best solution for quantity, style and position of dining tables. For more information on our range of School Dining Tables contact us or call us on 01733 511121.